If Pioneer’s hegemony in standalone players seems unshakable, there’s at least the computer arena in which to compete. Pioneer for its part has moved to strengthen its Rekordbox software as a computer DJ software rival to Native Instruments’ Traktor, Serato DJ, and others. For the experienced touring DJ, that strategy may well be meaningless. If you view Rekordbox as a tool for prepping a USB stick that you play on the CDJs already installed in the club, you may not particularly care about what it does in a laptop/controller setup. 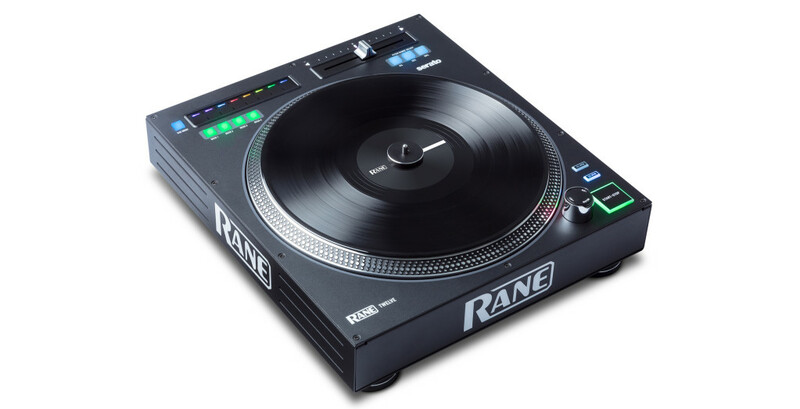 But, there’s still a large market of people getting into DJing for whom both the Pioneer name and the company’s vertically-integrated offerings hold a lot of appeal. 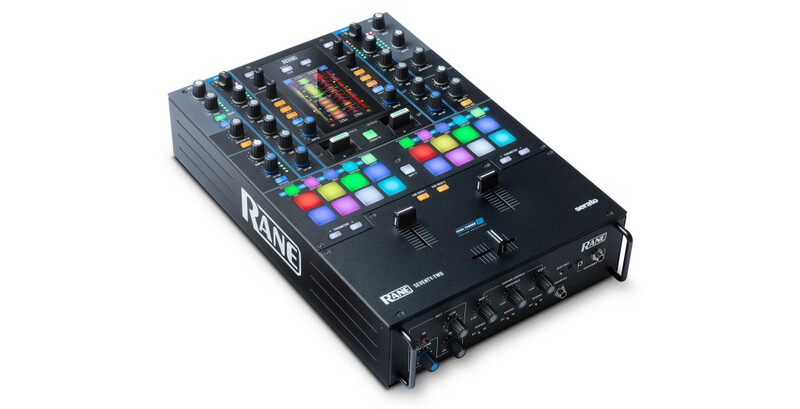 The challenge for Rane and Roland – hook into the Serato platform instead, and try to be better than Pioneer at similar price points. And there’s some added maneuvering room here. Native Instruments’ Traktor line hasn’t really evolved much lately, hampered in part by aging flagship software. And I agree absolutely with DJ TechTools’ Dan White – it looks like Roland is poised to become Serato’s main hardware vendor while Pioneer and InMusic focus on their own integrated ecosystems. Also, you can often expect a Japanese manufacturer to have more patience to play a long game. Serato remains a big player in a number of markets (notably the USA and southeast Asia), so there’s some market to pursue. But let’s consider each company’s angle. 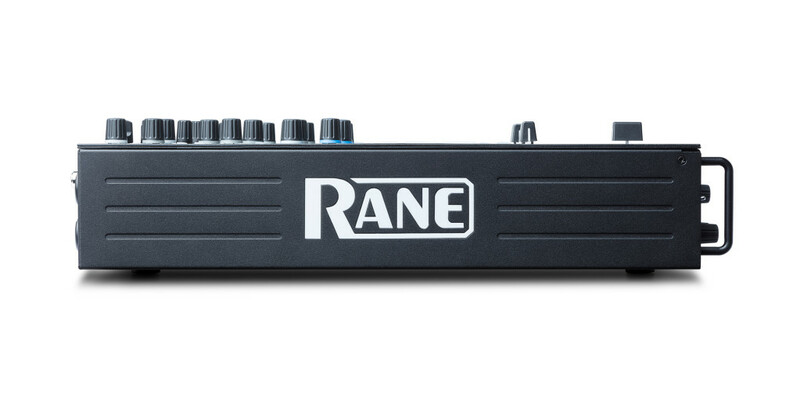 For computer-based DJs, Rane has two offerings. One is a mixer packed with features, and one is a turntable re-imagined as a MIDI-only device. This is what happens if you cross Rane’s mixer tech with InMusic’s touchscreens and pads – and then go after Pioneer’s competing “Battle-Ready” DJM-S9. 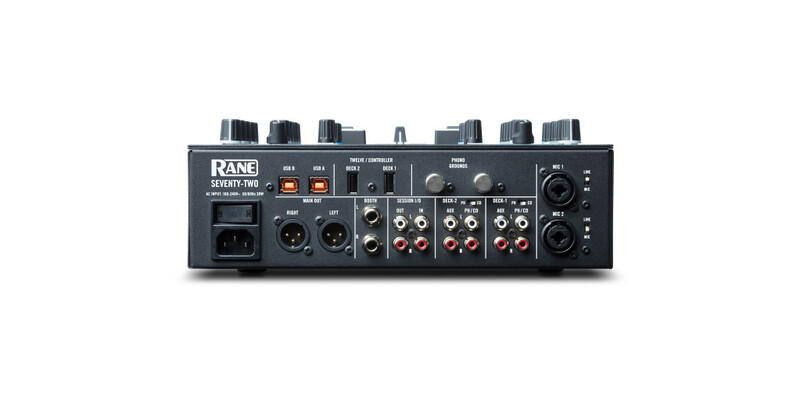 Indeed, the Seventy-Two is essentially control-for-control a clone of the Pioneer mixer, with the addition of touchscreen, and in a Rane case. The controller can be assigned to other tools, though I’m unsure how access to the touchscreens works. (It might be hackable; generally these devices treat these displays as external monitors.) One commenter on DJTT notes that other Serato displays have been made to work with the popular Virtual DJ software. This is the most interesting product of the bunch, to me. It’s basically a full-sized (12″!) motorized turntable, minus the tone arm and needle. So you can’t play records on it, but you can use it as a DJ controller. You connect it via USB, and then you have the tactile feedback of an actual turntable, without the hassle and unreliability of digital vinyl control. Eliminating the tone arm may not please everyone. What you get in its place is what they call the “Strip Search” (which gives me not the most pleasant associations as a phrase, but okay). That touch interface at least has the advantage of hot cues, with access to eight points on a track you can access immediately – something you can’t do quite as easily by physically lifting and moving a tone arm, to be sure. Of course, this immediately begs the question, why not ditch the laptop and use this interface for a standalone player? I suspect someone will do that soon, whether it’s InMusic (with their Denon or Rane brands) or someone like Pioneer. And a 7″ rendition of this also seems a no-brainer. But this is already interesting. And I almost totally want one. Almost, because the darned thing is a whopping US$799. I’m trying to figure out the person who will pay twice the price of a normal turntable for something that won’t play records. Wealthy … uh … Serato clinicians? Don’t know. But as technology, it’s interesting, and could be a sign of things to come. 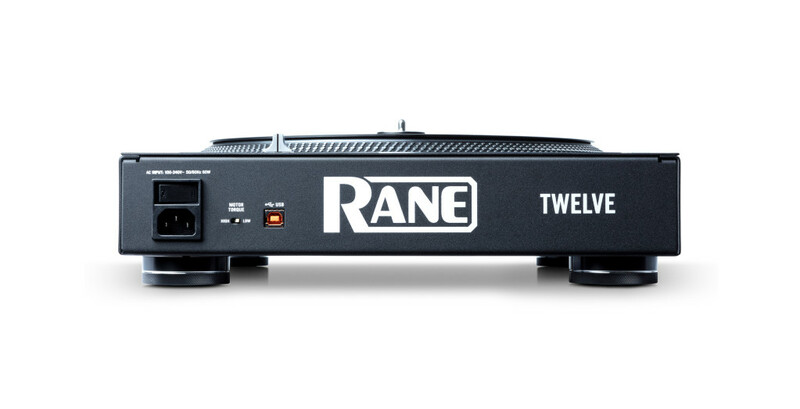 So, if Rane has some really interesting but high-priced products – more demonstration of where things might go than something to buy right now – Roland brings us back down to Earth. And that’s in stark contrast to where Roland entered, with the DJ-808 they added to their AIRA line last fall. The DJ-808 was cool, but … weird. It did Serato control, TR drum machine sequencing, and VT vocal transformations, but at a high cost – both in money and size. 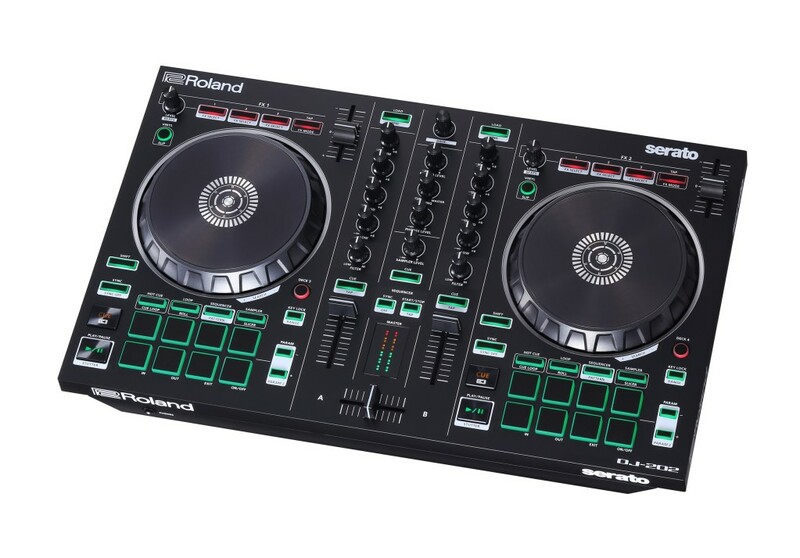 But the new controllers from Roland bring price and size in line with competing options – enough that have probably become your best bet if you’re in the market for a Serato controller. Both also have the same ultra-low-latency performance featured on the DJ-808 (though they lack the high resolution of the 808 platters). The US$699.99 DJ-505 gives you most of what the DJ-808 did, plus a bundle of Serato DJ and Serato Tool Kit (for most additional features), and can be upgraded to Serato digital vinyl control. 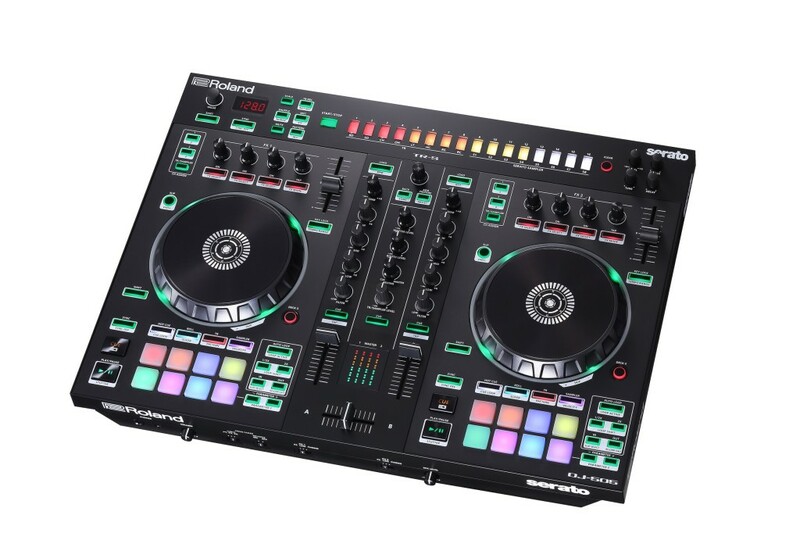 The US$$299.99 still performs most of the controller tricks and TR functionality, with Serato Intro. Both have TR (808 and 909) drum sounds and hands-on controls for them; the DJ-808 includes the full TR-S sequencer onboard. The DJ-505 looks like quite a buy. It’s still a standalone mixer. It doesn’t have the VT vocal transformer effects of the DJ-808, but it still includes a mic input and some basic effects. And you get hands-on controls for both Serato and the internal TR sounds. The DJ-202 could also give Pioneer’s DDJ-SSB2 a run for its money. And Native Instruments, while I’m a fan of Traktor, it really does feel like your offerings have fallen badly behind. Curious what your next move is. At the low end of the market, it’s clear why computers aren’t going anywhere. If people walk into a music shop and want a DJ tool that’s flexible and cheap, there’s nothing quite like spending under $300 and getting a full-fledged system. In fact, even for a couple hundred dollars more, you might get something that works with your computer and still functions as a mixer. Even with cheap embedded computing and touchscreens, you can’t change the fact that people already own laptops (or iPads) with lots of internal storage and big displays. But you also can’t change some of the problems with laptops. Bringing them to gigs and fitting them in a booth is a pain. Audio can be unreliable and tough to configure. It’s still impressive to me that there are so few standalone options. Denon has its own CDJ rival and even an all-in-one (though massive and expensive) coffin. But once you see products like AKAI’s new MPCs, which are essentially controllers with their own computer inside, it’s not hard to imagine where things will go. 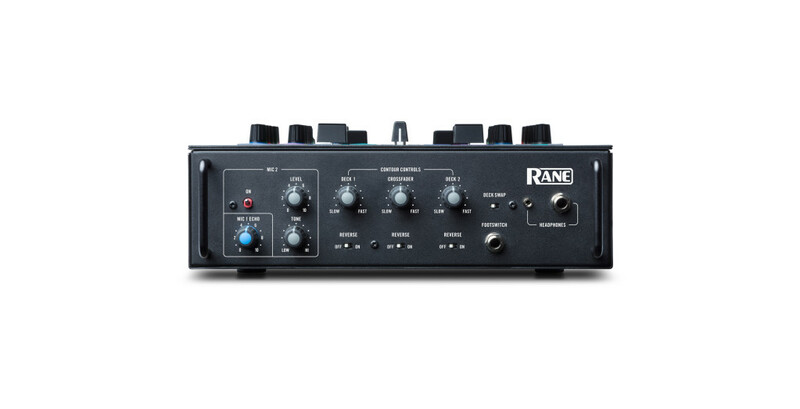 What about a DJ device you can take out of a flight case and plug directly into a mixer? There’s no question that makers like Roland, InMusic, Native Instruments, and others all have the technical capacity to make such a device. While we wait, though, my prediction is this: when those hit, the whole direction of the market will change fast.